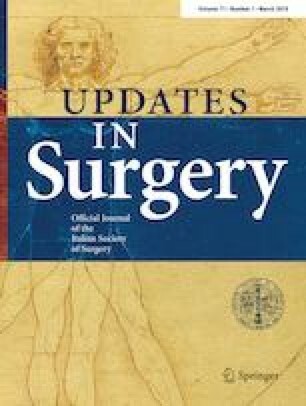 Robotic liver surgery has been considered as a unique opportunity to overcome the traditional limitations of laparoscopy; thus, it can potentially extend the indications of minimally invasive liver surgery. From April 2015 to May 2017, 35 patients underwent fully robotic left hepatectomy. The mean operative time was 315 min (200–445 min) and the mean estimated blood loss was 245 ml (125–628 ml). Pringle maneuver was required in six cases. Cancer was the indication for surgery in all patients (14 liver metastases, 18 hepatocellular carcinomas and 3 cholangiocarcinomas). There were one to four lesions in a patient and the mean lesion size was 39.2 mm (15–85 mm). The average length of hospital stay was 6.5 days (5–14 days). Perioperative morbidity rate was 17.2%. Two patients underwent conversion to open surgery. The 90-day mortality rate was nil. The mean surgical resection margin was 12 (1–22) mm, and R0-resection was reached in 33 out of 35 cases. The robotic left hepatectomy provides interesting surgical outcomes and good oncologic adequacy. It can be safely applied for the management of liver malignancies. All authors declare they have no conflict of interest or disclosures. An informed consent was obtained from all patients involved in the study.